Above represents product costs. 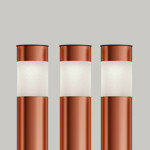 We strive to match the right materials for your project for maximum value. 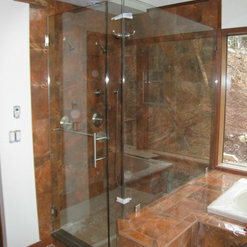 We can do partial to full bathroom and kitchen remodels. Our services span from design to painting. Everyone at Ct Shower and Bath have been wonderful - polite, efficient, professional and prompt. What more could you ask for! Installer did an excellent job on our master bath shower. Very professional. I would recommend them to friends and family. Work was done on time and price was great. Our company has been working with CT Shower and Bath for the past five years. 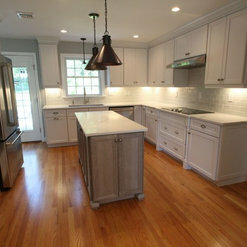 Our business is high end bath and kitchen remodeling. Each and every product or system that I have purchased from CT Shower and Bath has arrived to me in flawless condition, and most importantly, on-time. Their field techs are clean, knowledgeable, courteous, and meet field challenges exceptionally well. The office staff is extremely helpful, they know their products, and pricing requests are always submitted quickly. We have priced out similar glazing products with other vendors and their prices are always on the lower side and / or extremely competitive. We feel this is an exceptionally well run company and we always look forward to the next opportunity to work with them. I worked with Joni at CT Shower & Bath on the remodeling and updating of a master bath and guest bath. 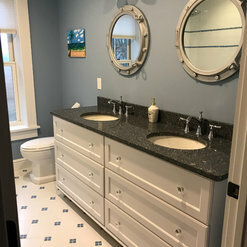 I had a very clear idea of how I wanted the new bathrooms to look, but Joni certainly brought a great deal of experience and knowledge to the project and was able to suggest some options and resources I hadn't considered. Very pleased with the range of products and details she suggested. Pricing on the fixtures, cabinetry, and decorative elements was not the lowest available (either locally or online), but was fair. However, Joni's recommendation of Dan Martin as remodeling contractor for the job was genius. We were extremely pleased with Dan and his crew of carpenters, tile installers, plumbers, electricians, and painters. 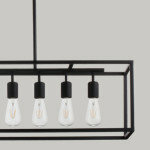 Dan made many practical and money-saving suggestions that enhanced the design. He worked closely with Joni on our project, and all supplies were delivered on time and in perfect condition. Remarkably, both bathrooms went from demolition to finish in about 5 weeks. Dan's pricing on the construction and installation phase was very competitive, and the work was top-notch. His crew of professionals was very nice to have in the house, and they kept the worksites neat and clean. All in all, working with CT Shower and Bath was a very pleasant experience. Very happy with the results. I Love Working with CT Shower & Bath, They are Strawbuilder LLC exclusive Shower door Subs, I call them to do All my custom shower glass, there always on time with a good price and do amazing work 5 Stars to you. Thanks For all the help and hard work. 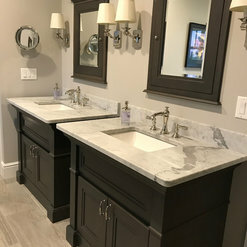 I utilized the services of the Interior Designer to select (2) vanity tops and (2) shower doors for the Main Bath and Guest Bath. 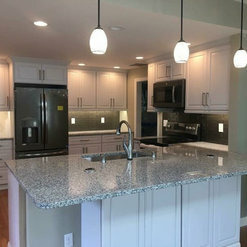 Since I did not have a general contractor for my projects, Joanie asked all the right questions to ensure that everything would fit properly to avoid any problems. 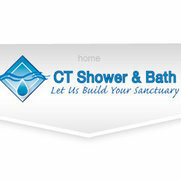 All the staff at CT Shower and Bath are professional, knowledgeable, and pleasant to work with. I would highly recommend them to anyone considering a home renovation project. We have used Ct Shower and Bath many times and have never once had an issue. They work with our schedule and very professional to work with. We are a high end general contractor. We have been using Ct Shower and Bath for years. 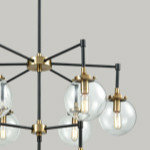 They offer the latest products, have excellent service, competitive pricing, really nice staff. They are ALWAYS willing to do whatever it takes to make our customers happy. CT Shower is an invaluable member of my network of professionals. I have trusted Steve and the staff for the majority of a 32 year tile career to apply their trade and bring my client's vision to completion. 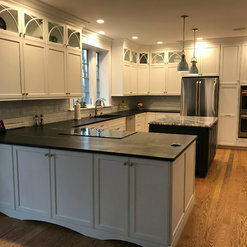 The level of knowledge and attention to detail presented at consultations and the ability to address unique situations from start to finish is where this company excels. I'll be looking forward to our next project design. Very pleased with the design to the measuring and installation very professional. Would highly recommend .Excellent job all around would use again. 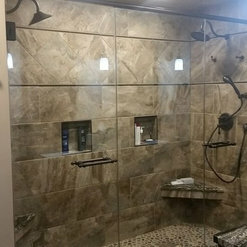 CT Shower & Bath designed and installed a superior custom shower enclosure which undoubtedly is the focal point of one of our two bathroom remodels. 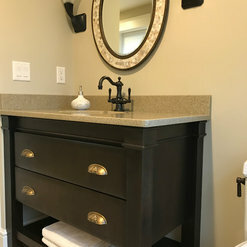 It was easy to select vanities, fixtures, and accessories from their extensive selection which fit our budget for our two bathroom remodels. 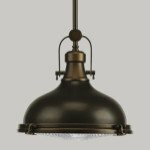 CT Shower & Bath is unbeatable when it comes to product knowledge, customer service, and affordability. Commented: Love this tub!Hi Gillian, We are a full service design and remodel company so if there was any quality issue with a delivery from one of my local suppliers, they would take car of it.